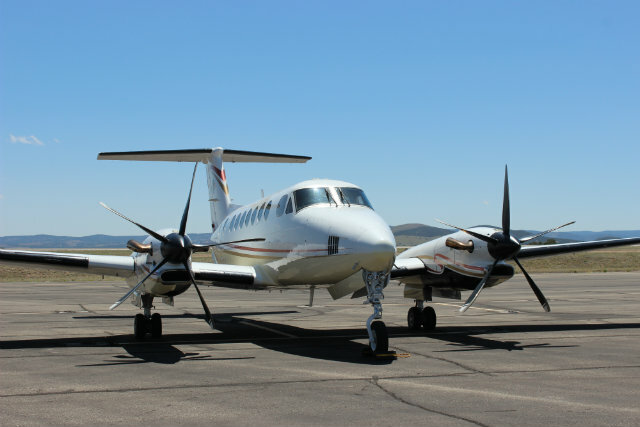 The upgrade replaces the type’s 1,050shp (783kW) Pratt & Whitney Canada PT6A-60A engines with 1,200shp PT6A-67As, which boost the 350’s maximum cruise speed by up to 40kt (74km/h). The XP67A-powered twin can also climb from sea level to 35,000ft in 18min in hot conditions, says Blackhawk – more than twice the rate of the baseline model. The upgrade package includes five-blade composite propellers from German manufacturer MT, which Blackhawk says “delivers significant reductions in noise and vibration levels, while improving overall performance”. Jim Allmon, president and chief executive of the Waco, Texas-based company, calls the upgraded model “the fastest King Air on the planet”. Since securing US approval for the modification in August 2017, Blackhawk has overhauled a number of aircraft, and the company says demand for the programme “is rocketing”. Flight Fleets Analyzer records a global fleet of about 800 King Air 350s. The USA has the largest installed base, with 540 examples, followed by Canada with 36.